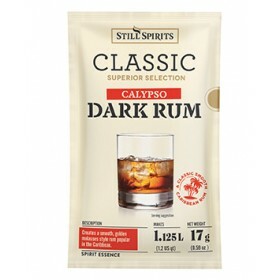 Classic Calypso Dark Rum (Makes 2.25L) ..
Classic Finest Reserve Scotch Whiskey (Makes 2.25L) .. 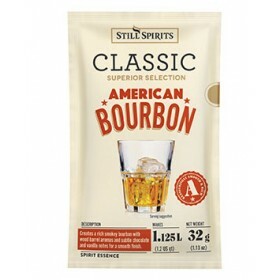 Creates a rich smokey bourbon with wood barrel aromas and subtle chocolate and vanilla notes for a s.. 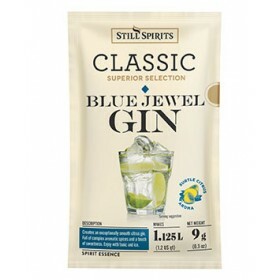 Still Spirits Classic Blue Jewel Sachet (2 x 1.125L) .. Creates the connoisseur's favourite, a mellow and well aged brandy, with subtle grape and fruit flav..
Classic Dark Jamaican Rum (Makes 2.25L) .. 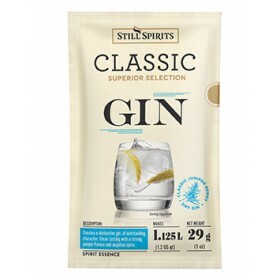 Creates a distinctive gin, of outstanding character. 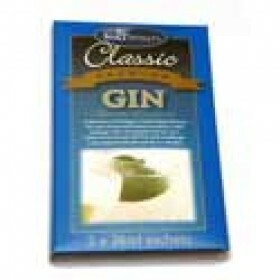 Clean tasting with strong juniper flavour and a.. Still Spirits Classic Navy Dark Rum (Makes 2.25L) .. 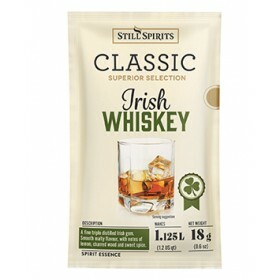 Still Spirits Classic Queensland Gold Rum (Makes 2.25L) ..
A fine triple distilled Irish gem. 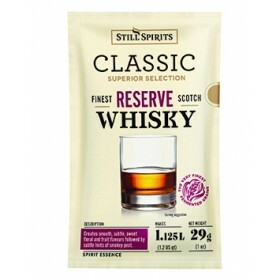 Smooth malty flavour, with notes of lemon, charred wood and sweet.. Creates a smooth, golden, light, fruity flavour with subtle hints of vanilla. Enjoy with a touch of .. Still Spirits Classic Spiced Gold Rum Sachet (2 x 1.125L) .. 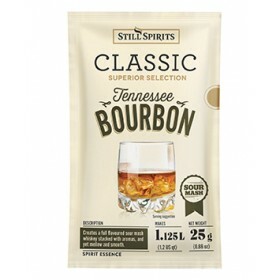 Still Spirits Classic Tennessee Bourbon (Makes 2.25L) .. 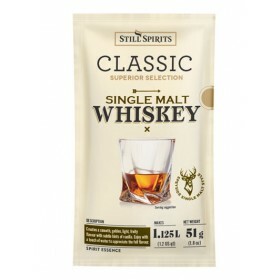 Still Spirits Classic VSOP Sachet (2 x 1.125L) ..